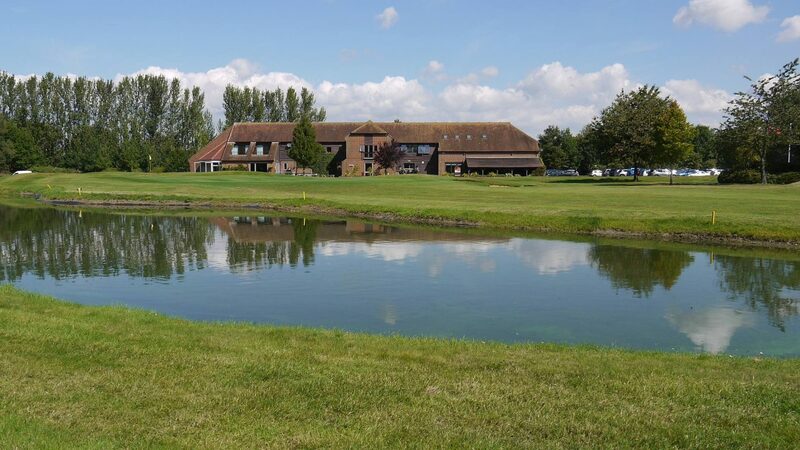 Under new ownership as of July 2017, The Ridge Golf Club offers 18 holes and 6,214 yards of beautiful parkland set in a rural location in the village of East Sutton, only 6 miles from Maidstone. The par-71 course was designed by Patrick Dawson and has matured into one of the finest, most challenging courses in the local area, enjoying stunning views over the Weald of Kent. Built on sandstone, it allows year-round play with no need for winter greens or tees. The facilities at The Ridge include an 8-bay driving range (plus private teaching bay), as well as extensive putting, chipping and short game practice areas. Stock up on essentials at our excellent value pro shop. Buggies and trolleys are readily available for hire (be sure to book buggies in advance!) and there are large changing room and car parking facilities. Our spacious clubhouse, built in the style of a Kentish barn, offers many options to cater for societies of all sizes. Enjoy a post-round drink in the spikes bar and in the summer months venture out onto the South-facing terrace with views over the 18th hole and lake. Our newly-refurbished restaurant and events suite will suit large groups of diners, while smaller groups may wish to use one of our more private dining areas. Our seasonal menu incorporates fresh, local produce and our hospitality team will cater to your exact requirements in order to make your golf day a success. A range of society packages are on offer and can be tailored to your needs. Prices start at £18pp for tea/coffee, bacon rolls and 18 holes. Minimum 12 players. For bookings over 20 players the organiser goes free. All packages include Nearest the Pin and Longest Drive Competitions, and trophies can be provided on request. The Ridge is less than 10 minutes from Junction 8 of the M20. Follow the B2163 through the villages of Leeds and Langley Heath, turn left onto the A274 then Chartway Street is the first turning on the left. The Ridge is half a mile ahead on your left. Please contact the club for local recommendations.